A well-presented first floor over 55's retirement apartment situated in the desirable Rathbone Park development within walking distance of Tarporley village centre. Stairs to First Floor, window to front and radiator. Large window, loft access and storage cupboard. Two windows overlooking front, radiator, coal effect gas fire with marble surround and timber hearth and mantel. Half tiled walls, fitted with a range of matching wall and base units comprising cupboards and drawers, base units with granite work surfaces over and tiled splashback, Neff 4 ring gas hob with double oven and grill, stainless steel sink unit and drainer with mixer tap, extractor fan, Worcester boiler, space and plumbing for washing machine and space for fridge. 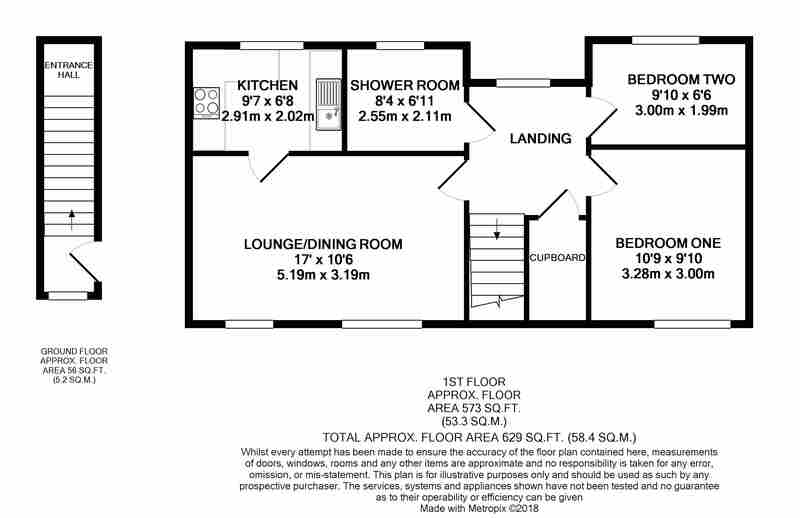 Tiled floor, partially tiled walls, low level WC, double walk-in shower with wall mounted shower head over and fully tiled wall splashback, wash hand basin, radiator, towel rail, wall mounted mirror with lighting over, opaque window to rear.